OCZ's hand-tested DDR3 solutions enable ardent enthusiasts to take advantage of the next generation low-voltage dual channel platforms while experiencing the legendary quality and reliability of OCZ memory. 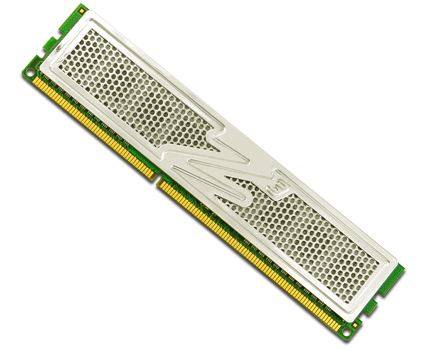 Initial OCZ DDR3 products will accommodate JEDEC specifications for third generation Double Data Rate memory. 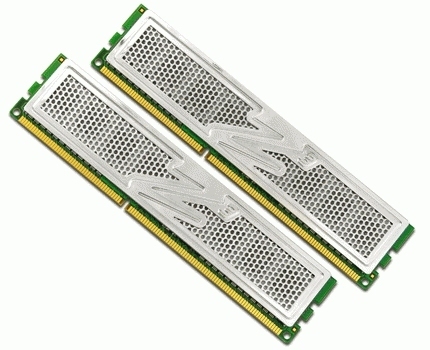 The OCZ PC3-12800 Platinum Series is rated for 1600MHz and features standard CL 7-7-7 timings. Each module is 100% hand-tested for quality assurance and compatibility with the latest Intel P55 motherboards and feature proprietary gold-mirrored XTC (Xtreme Thermal Convection) heatspreaders for the most effective heat dissipation. As part of OCZ's line-up of premium memory, the DDR3 series is backed by a Lifetime Warranty and industry-leading technical support for unparalleled peace of mind.